15 Sep Byron Kuehl. Live music. West O Beer is pleased to bring you more NEW live music this Saturday. 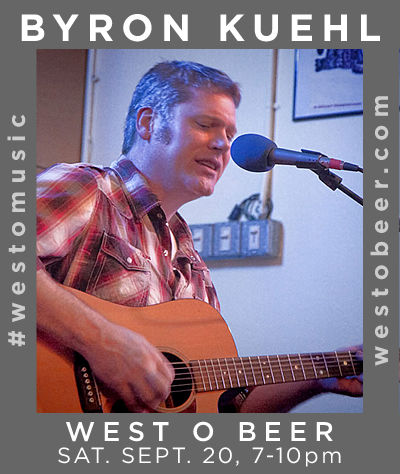 Welcome Byron Kuehl to the tasting room Saturday, September 20 from 7-10 for acoustic solo music.